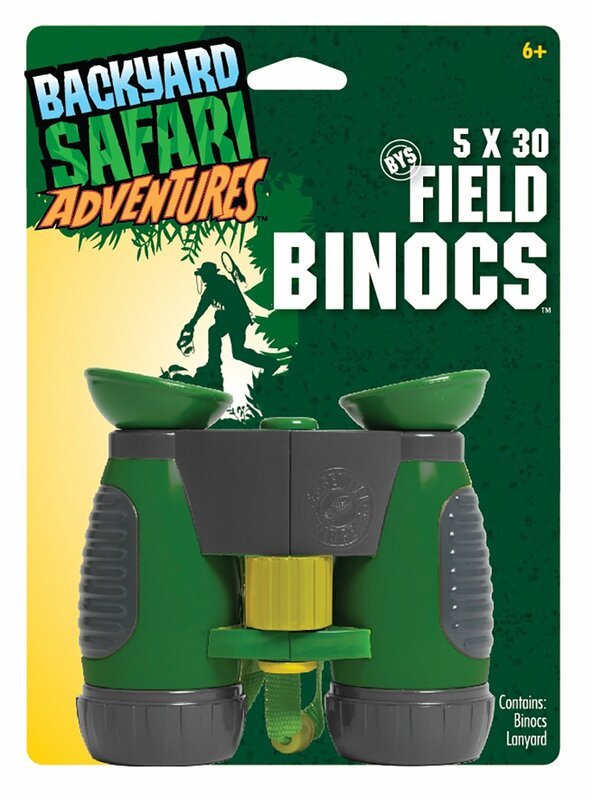 Backyard Safari Field Binocs give little adventurers a closer view of nature!These kid-sized binoculars are standard issue for every outdoor enthusiast.The 5x30 power crystal-clear optics bring nature up close and in crisp detail.Adjustable, rugged and waterproof, these binocs are essential for scouting,spying and exploring. Recommended for children 6 years of age and older. From the Manufacturer Backyard Safari represents an authentic line of year-round children's outdoor& nature products. Whether your safari takes place in the park, at thecampground, on the beach or even your own backyard, you'll be geared up andready for action! Backyard Safari is a member of the ALEX Brands family ofproducts. Visit for more information on Alex Brandsand our best-selling line of educational and entertaining products for kids.